Originally born in Trabzon, Turkey, I have been a cyclist my whole life. I am a former national athlete and coach, later in life I founded several cycling associations in Turkey. Now my mission is to significantly improve the conditions and acceptance of cycling in Istanbul as Bicycle Mayor. To improve cycling and boost bicycle culture in Istanbul. This means improving bicycle infrastructure and making sure everyone is safe riding a bike in the city. The main obstacles to increasing cycling here has to do with difficult political and economic conditions where there is an inadequate budget and economic problems in the country to support better infrastructure. 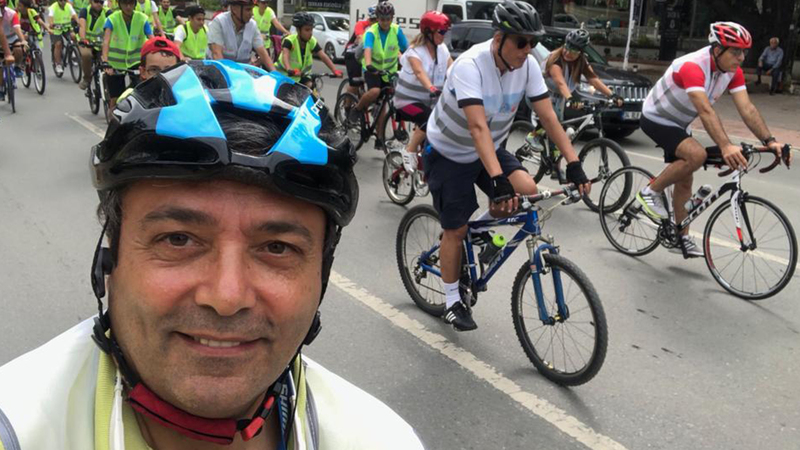 I will work with District Municipalities in Istanbul Municipality of Ataşehir, Beylikdüzü Municipality and Kadıköy Municipality, Bicycle Association, local groups and schools. My plan for Istanbul includes initiatives to get high school and university students to cycle to school, and raising awareness through joint efforts with non profit organisations. I hope that one day Istanbul will be a role model for other cities in Turkey and that they learn from our strategy.